John Barrack, Managing Partner, marbleLIVE: John is a lawyer and entrepreneur who serves as the lead for the project. He is the former COO and CLO of the Canadian Media Production Association (CMPA), which represents Canada’s 400 independent producers in film, TV, and digital media. During his 12 years with the CMPA, John was instrumental in helping build Canada's film and television business into a $5 billion annual industry. He served as the chief negotiator in all of the CMPA's major negotiations, including the landmark Terms of Trade Agreement, which regulates the commercial business terms between Canada's English-language broadcasters and independent producers. John continues to maintain a private law practice serving a wide variety of corporate and not-for-profit clients. John’s approach is to serve as a trusted strategic business advisor. His primary practice areas include labour, employment, and governance law. John is a co-founder and a shareholder of Target Park, Toronto's fastest-growing parking lot company. He helped found and serves as Strategic Counsel to the newly formed Toronto-based production house Don Carmody Television – formed in partnership with Oscar-award winning producer Don Carmody (for Chicago) and independent producer David Cormican. John has served on a variety of boards including as a member of the executive committee of the International Producer Association (Fédération Internationale des Associations de Producteurs de Films), The Canadian Retransmission Collective, ISAN Canada and Shelternet for Abused Women. Mark Bishop is co-founder of content creation company marblemedia, who is leading the development and digital media innovation for marbleLIVE. Having founded marblemedia with business partner Matt Hornburg over a decade ago, Mark is an accomplished entrepreneur and brand builder who has produced strong marblemedia properties for companies such as Corus Entertainment, Astral Media, CBC, TVO, Nickelodeon, The Walt Disney Company and The Jim Henson Company. Having founded the company with business partner Matt Hornburg over a decade ago, Mark is an accomplished entrepreneur and brand builder who has produced strong marblemedia properties for companies such as Corus Entertainment, Astral Media, CBC, TVO, Nickelodeon, The Walt Disney Company and The Jim Henson Company. A champion of the independent development and production screen-based industries, Mark is the Vice-Chair of the CMPA Board (Canadian Media Production Association), past-Chair and Executive Board Committee member of Interactive Ontario, Co-Chair of the IDM Digital Working Group for the Ministry of Tourism, Culture and Sport and is a member of the Kids Help Phone Advisory Committee. Mark also lends his time to various universities as a guest lecturer and acts as a curriculum advisor at Centennial College, OCAD University and Ryerson University. Mark and marblemedia have been recognized as a Next Generation Producer by The Hollywood Reporter, won the Lions Gate/Maple Pictures Innovative Producer Award and was celebrated as Producer of the Year by the Canadian New Media Awards. The company remains focused on innovative content creation and distribution for television and digital media with a commitment to telling stories that entertain and engage audiences across all platforms. marblemedia develops, produces and distributes engaging multiplatform entertainment experiences for audiences around the world, who will lead the digital aspect of the marbleLIVE experience. Honoured with Playback’s Outstanding Achievement Award (2013) and named Transmedia Producer of the Year (2011) by Playback, marble has won a Canadian Screen Award, two Gemini Awards, has been nominated for an Emmy® Award and was identified as a Next Generation Content Producer by The Hollywood Reporter. With over 250 hours of programming distributed in more than 200 territories, notable projects include: the live-action preschool series Hi Opie! ; the comedic Japanese game show Japanizi: Going, Going, Gong! ; the award-winning hit preschool series This is Daniel Cook and This is Emily Yeung; and the physical game show Splatalot. The company was co-founded by Mark Bishop and Matt Hornburg in 2001 and owns a 50-acre production ranch in addition to operating a Toronto-based studio, home to 50 staff, and an L.A. office. www.marblemedia.com. 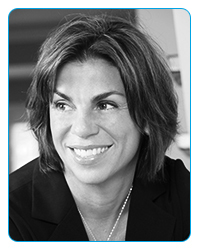 Joanne Berry is President and founder of Berry Management Consulting Group, a boutique strategy and organization development firm based in Toronto and established in 2006. Most recently, Joanne was Executive Vice President, Strategy & Corporate Development for Loblaw Companies Limited ($40B company with 140,000 employees) where she reported to the CEO and was responsible for strategy, M&A and corporate development, analytics, Program Management Office, business process improvement, and the Business Integration function for the largest retail SAP implementation in the world. She previously was the SVP Organizational Development and Change Management at Loblaw, charged with leading organizational restructuring and change management in support of strategy. Prior to that, she held the role of Senior Vice President, Strategic Development with SNC-Lavalin Operations & Maintenance, a $1.7B wholly-owned subsidiary of the $8B SNC-Lavalin Group. In this capacity, Joanne was accountable for overseeing the development and execution of the corporate-wide growth strategy, with responsibility for sales, marketing, M&A and corporate development, strategy and business planning. Earlier in her career, Joanne spent 12 years in management consulting, taking on progressively senior roles in business strategy and organization development practices before becoming Vice President of a leading Canadian consulting company. Over the past 20 years, Joanne has been recognized as an accomplished business strategist and executive level facilitator and advisor, with specific emphasis on translating business strategy into action. Joanne has worked extensively with boards, executive teams and business units to facilitate business strategy development, and to build and implement business plans; to design organizational structure and process aligned to strategy; and to drive organizational alignment and team performance. Joanne holds an MBA in Strategy & Organization Development, and a BA in Psychology & Marketing. Amusement Entertainment Management LLC of East Brunswick, New Jersey (Jerry Merola): Over its 41-year history, Amusement Entertainment Management, LLC has become known as a core resource partner in the development of entertainment properties throughout the Americas. The firm has been responsible for the development and evolution of more than 400 successful entertainment brands, including theme park operator Cedar Fair, LLP, Great Wolf Lodge & Resorts, Hershey Park and Entertainment Group, Mohegan Sun Casino, Foxwoods Casino, GameWorks, and Six Flags Theme Parks. AEM also provides exclusive consulting and auditing services for lenders and investment firms within the entertainment space, including GE Capital’s Sports & Entertainment Division, CitiGroup, KIMCORealty, and CNL Real Estate Investment Trust. Based in East Brunswick, New Jersey, the firm’s 68-person staff guides and monitors its client base through all phases of conceptual development, equity and debt financing, construction, and early-stage operations. Jerry serves as Chief Financial Officer and Managing Partner of the firm. During the past 17 years, he has focused much of his efforts on analyzing and enhancing the performance of the firm's client portfolio through development of feasibility studies, business plans, business valuations, and funding programs for some of the most notable names in the entertainment industry. Jerry and the firm have developed one of the most comprehensive attractions databases available, allowing its clients to obtain "real world" performance results and earnings capability for virtually any entertainment component. Earlier in his career, Jerry served ten years in the commercial banking industry as Vice President of one of the northeast's largest commercial banks, where he managed a team of lenders that controlled the bank's Fortune 1000 client portfolio. Additionally, he served as a key member of the bank's lending committee, where he steered the investment focus for specific regions. A holder of bachelors and masters degrees in corporate and international finance from Fordham University and Fairleigh Dickinson University respectively, Jerry brings to the table a wealth of experience in financial markets, project and land development, budgeting, and risk management. He has authored over 250 articles in both the entertainment and financial services industries and is an accredited instructor for the American Banking Institute. He has provided dozens of seminars on behalf of The International Association of Amusement Parks and Attractions, Amusement and Music Operators Association, and The International Association of the Leisure Entertainment Industry on topics ranging from project development to capital financing. Since 2001, Jerry has served as Chairman of the industry's Finance Council through the International Association of Leisure Entertainment Industry, and is a member of the faculty at Foundations Entertainment University. In addition, he maintains a seat on the Board of Investors Bank, a New York-based commercial bank with $13 billion in assets and over 100 locations throughout the Northeast quadrant of the U.S.
As a monthly feature writer for PlayMeter Magazine and Tourist Attractions and Parks, Jerry has dedicated himself to shaping the direction of the amusement and entertainment industries. His membership within the Amusement and Music Operators Association, the International Association of the Leisure Entertainment Industry (IALEI), and the International Association of Amusement Parks and Attractions has provided him with a broad perspective of changes within the industry, from which the firm's clients have greatly benefited. As Project Administrator Lisa Soloman coordinates key meetings and approvals of all presentations between partners and government agencies. Lisa originally joined Managing Partner, John Barrack as an Executive Assistant to his law practice, where she prepares legal documents, payroll and communicates with Mr. Barrack's clients. Lisa brings to the project over years eight years of experience in the commercial film industry as a coordinator and freelancer and has over five years as an Executive Assistant. She has outstanding communication skills, is highly organized, personable, brings a positive attitude to all situations and works well individually and in a team setting. As Director of Technology, Jean-Guy Niquet is on the pulse of the latest digital technology. His role within marbleLIVE is to determine what technology will be used in the park and how it will integrate with the system as a whole as well as pursuing new interactive business development opportunities. With a background and education in artificial intelligence, Jean-Guy has led an impressive career in the game industry for over a decade. He is noted for having over 15 games and apps in the iOS store, a majority of them for kids and youth, and for holding positions as a Programmer, Technical Lead, Game Designer and Producer at some of Canada’s top digital media companies. His previous position at Arkadium Canada saw him lead the company’s mobile game initiative, where he set up their mobile headquarters and hired a full team in just two months. He has also previously worked at DHX Media, in which he led the development of the Gemini nominated website Urban Vermin, as well as developed an iPad sales tool two weeks after the release of the first iPad. He has been honoured with the Best Mobile App Award by Applied Arts Magazine for Apollo 11 and has been nominated for a Gemini Award and Canadian New Media Award.